The Arch Capital Group Challenge Cup provides an opportunity for the lower tier teams to compete at a state level in this tournament, with the exception of the U10's and the U11's which is unrestricted. Division of play in the previous Spring season shall determine eligibility for the U12 divisions. Division of play in the current Fall season shall determine eligibility for the U13-U16's. Leagues having five (5) or more tiers in the age bracket, first and second tiers are not eligible. Leagues having at least two (2) but less than 5 tiers in the age bracket, first tier teams are not eligible. Leagues having only one (1) tier in the age bracket, may determine that teams finishing in the bottom half may participate in the Arch Cup. New teams may enter the Arch Capital Group Challenge Cup provided that their current or proposed tier meets the above guidelines. A team is considered a new team only when less than nine (9) players were rosterd to the previous year's team. U10 (8 v 8), U11 (8 v 8) and U12 registration closes August 19, 2015. All other divisions registration is open and closes Feb. 12, 2016 for Spring play. When possible Group Play will be Regional. Entry fee is $225. The US Youth Soccer Eastern NY State Championship. 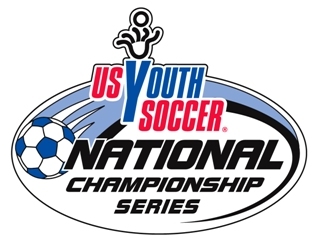 The winners (U12 to U19) of this tournament go on to compete at the Regional competition and eventually the U13 to U19 to the US Youth Soccer National Championships. Approximately 10,000 teams participate nationally on a State level, with 926 teams participating at the Regional level and 60 teams competing at the National Championship. Entry fee for tournament is $400, which includes all fees, except referee fees. Additionally, ENYYSA provides support to teams advancing to the Regional and national tournaments.